Turns out my mum was hiding an old sewing machine in her garage. 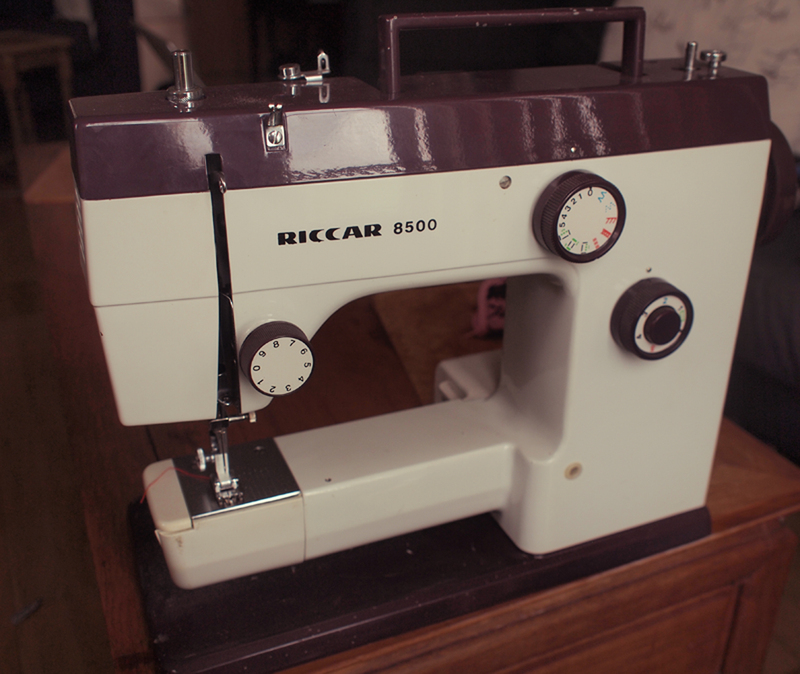 As she was threatening to put it in the attic I have claimed it and am now very excited about sewing things. In fact, I have convinced myself that I am a sewing genius and that I can now make everything! 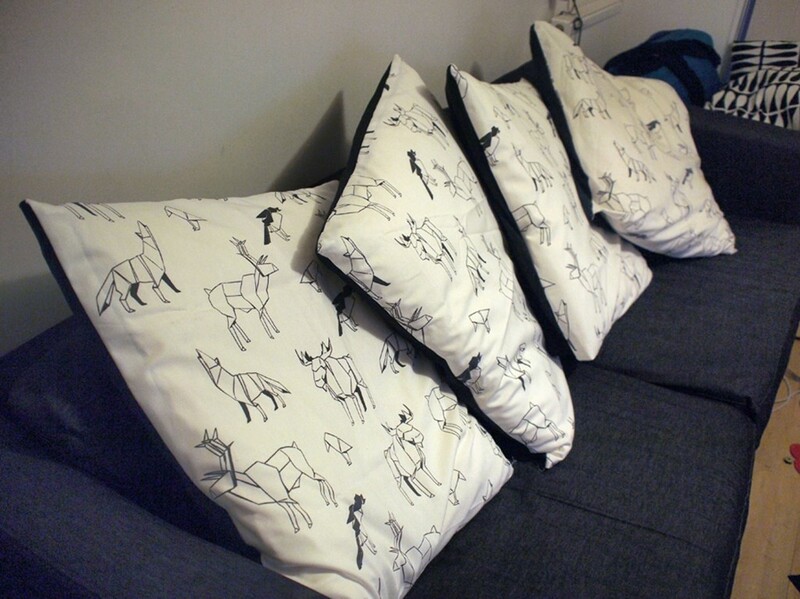 About 6 months ago I bought material for new cushion covers and had managed to hand sew 1. Within 2 hours of setting up the sewing machine I managed to finish the remaining 3 cushion covers. Making the cushion covers was really easy. The back piece is just a big square the same size as the intended cushion (I laid the original cushion cover on top of the fabric and cut around). The front piece acts a bit like a pillow case so it’s a square with about 1/4 extra in length. I laid the two pieces together, right side facing with the extra quarter folded over and used the sewing machine to sew around the other three edges. In this case it didn’t really matter that I can’t sew in a straight line as everything looked great when I turned the cover in the right way and put it on the cushion. The only trouble was that it didn’t take very long to make and I wanted to keep using my new toy. 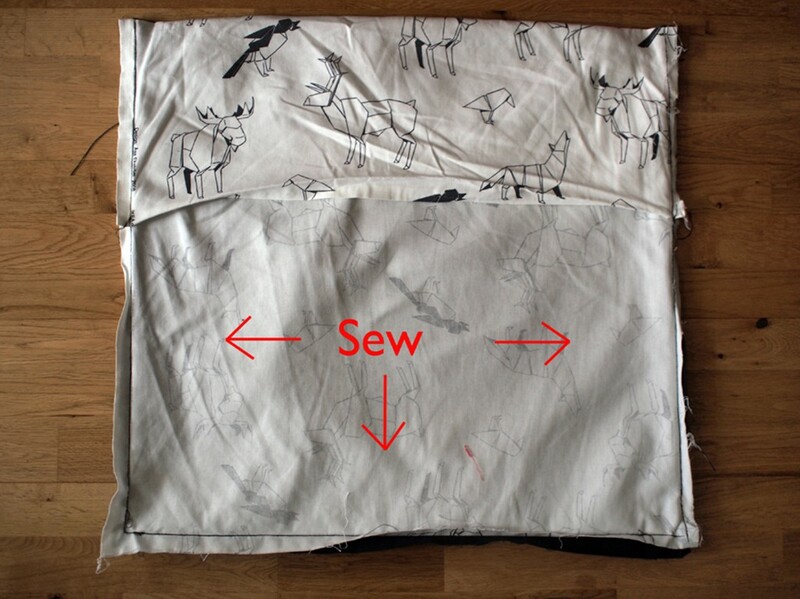 I had a lot of leftover cushion cover material and while I was searching for something to make with it I found this amazing website which has all sorts of sewing and knitting patterns. 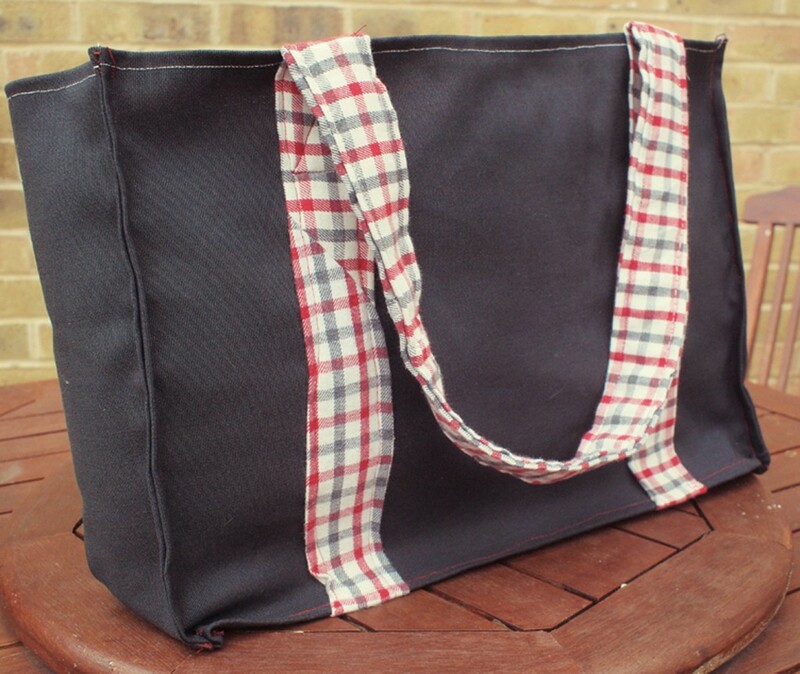 I used the extra cushion fabric and a kindly donated shirt to make my leftover bag.